Have you guys seen The Force Awakens? More than once? We all went and saw it on Christmas Day, and we all loved it. I even made Star Wars shirts! 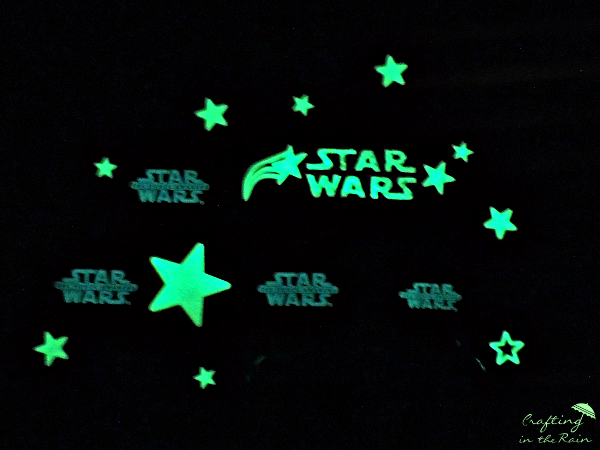 So you can imagine how excited my kids were when a box arrived at our house last week full of some of their favorite cereal, glow in the dark stars, and special decals with Star Wars characters. Then I got crafty! The first thing I did was paint an 8×10 canvas with black paint to make a night sky. 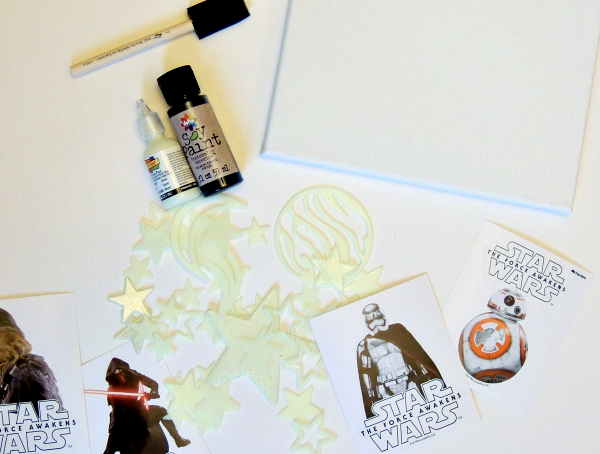 I wanted “STAR WARS” across the top, but I knew my freehand wouldn’t come out so well. 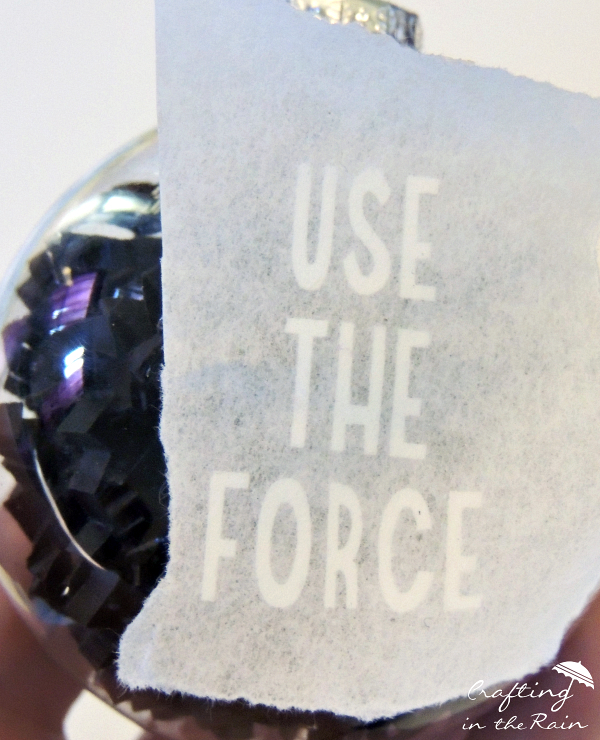 I cut a vinyl stencil, placed it across the top, and filled it in with glow in the dark puff paint. 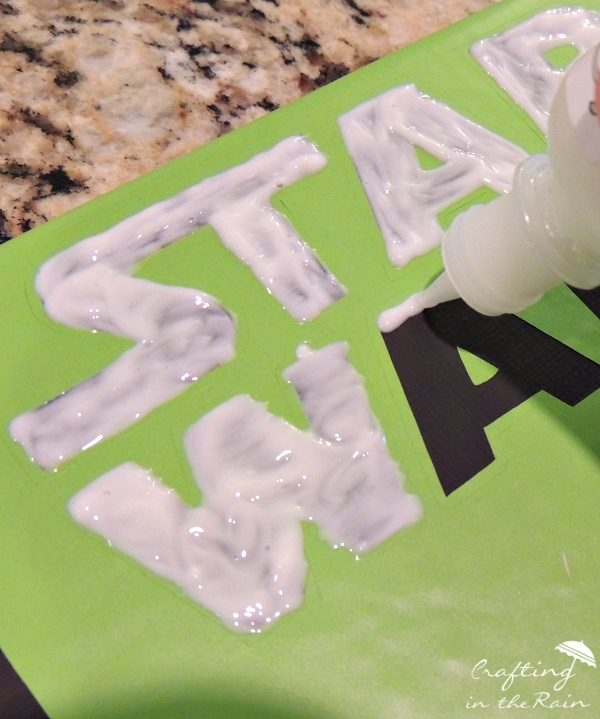 Be sure to take the stencil off right away while the paint is wet. Then let it dry completely. 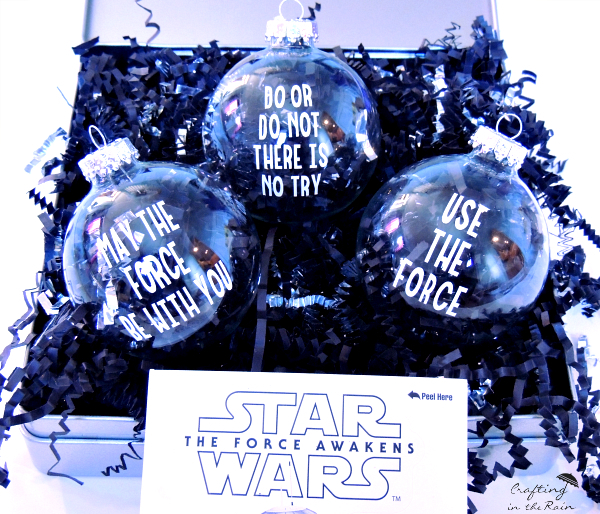 I also made some Star Wars ornaments using some of the cool paper packaging that came with my delivery. 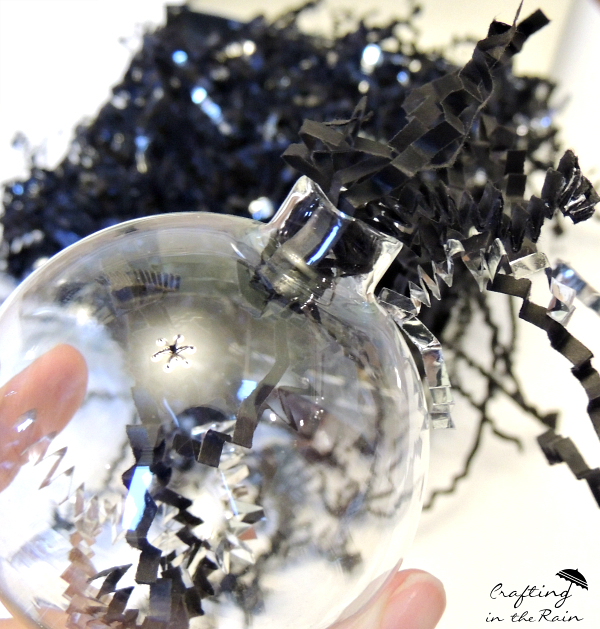 I stuffed the paper strips into a clear glass ornament and cut vinyl quotes to put on the outside. And I tied them onto the outside of the canvas. Perfect for fans, right! 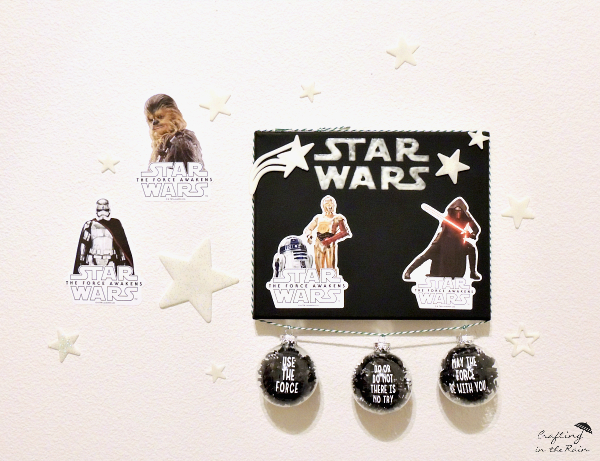 Asher loves having these on his wall in his room now, and he can arrange the decals and stars anywhere he likes. Here it is with the lights off. 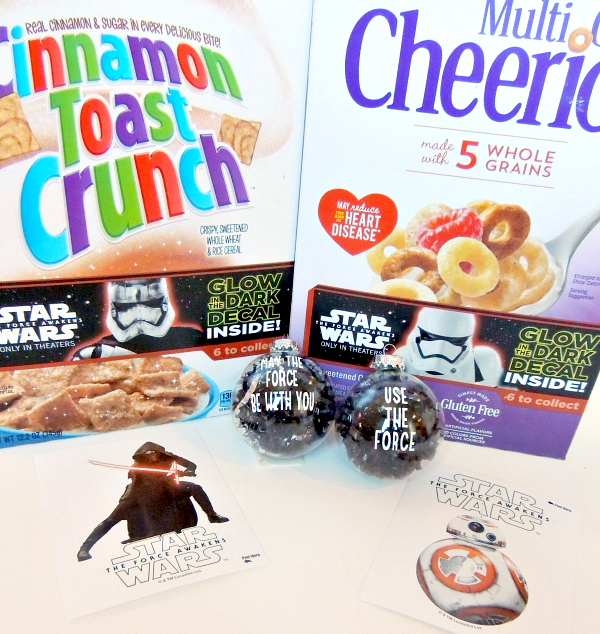 Collect all 6 decals, featuring R2-D2 & C-3PO, Chewbacca, BB-8, Kylo Ren, Captain Phasma and a Stormtrooper from General Mills cereals Cinnamon Toast Crunch, Cookie Crisp, Cheerios and Cheerios Multi Grain. 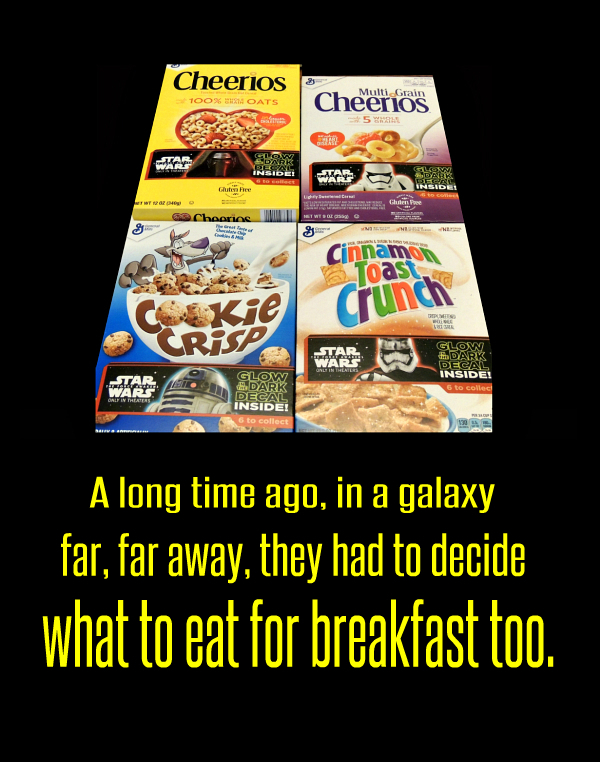 Get more ideas from General Mills on Twitter, Pinterest and Instagram.